Postoperative infection has seriously affected the prognosis of cancer patients, while probiotics have been increasingly used to prevent postoperative infection in clinical practice. This study aimed to evaluate the preventive effect of probiotics on infection after colorectal cancer (CRC) surgery. Related clinical trial reports were collected from Pubmed, Embase, Cochrane Library as well as China National Knowledge Infrastructure (CNKI) databases. These reports were then strictly screened, and information as well as data were extracted. Finally, the enrolled studies were evaluated by systematic review and meta-analysis using STATA v11 and Revman v5.2. 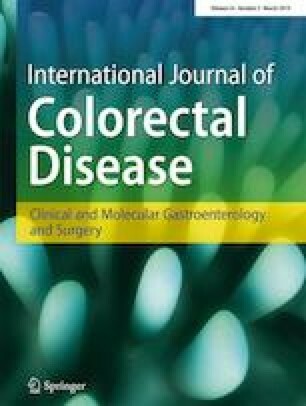 Probiotics administration contributed to the reduction of overall infection rate after colorectal surgery, with a pooled odds ratio (OR) of 0.51 (95% CI: 0.38–0.68, P = 0.00). Meanwhile, the incidence of incision infection (pooled OR = 0.59, 95% CI 0.39–0.88, P = 0.01) and pneumonia (pooled OR = 0.56, 95% CI 0.32–0.98, P = 0.04) as well as the first flatus time (SMDs = − 0.70, 95% CI − 1.13–− 0.27, P = 0.002) were also reduced by probiotics. In addition, urinary tract infection, anastomotic leakage, and duration of postoperative pyrexia were also analyzed, which displayed no statistical differences compared with those of control. Probiotics have potential efficacy on preventing postoperative infection and related complications in cancer patients undergoing colorectal surgery. The online version of this article ( https://doi.org/10.1007/s00384-018-3214-4) contains supplementary material, which is available to authorized users. Xiaojing Ouyang and Jian Wang conceived the study and planning. Xiaojing Ouyang, Qingfeng Li, Mengjing Shi, Dongsheng Niu, and Wenjing Song performed the literature search, studies selection, and data collection. Qinggong Nian and Xiangda Li performed statistical analyses and prepared figures and tables. Xiaojing Ouyang, Jian Wang, and Zhonghui Ding drafted the initial manuscript. Xianyin Ai and Zhonghui Ding gave methodological support and modify the paper. The authors declare that they have no interest conflict.